After marrying Lamarr, her husband attempted to censor Extase by buying up as many reels of the film as he could find to prevent others from being able to watch the movie. 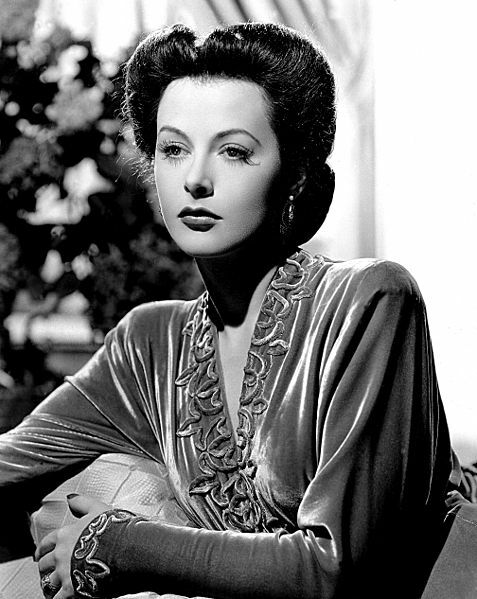 Lamarr at one point attempted to become a member of the National Inventors Council, which would have been particularly beneficial given her recent inside knowledge of munitions technology in Austria and Germany that she had gained from sitting in conferences and her husband’s business meetings, but her attempts to become a member were rejected and she was instead told, as with many other celebrities, to help sell War Bonds. The first known documented instance of someone mentioning frequency hopping was Jonathan Zenneck in his book, Wireless Telegraphy, published in 1908. A GREAT EYE OPENER, JEREMY. THANKS FOR THAT. I M ASTONISHED TO KNOW THAT A WOMAN, AND THAT TOO, A BEAUTY, CAN CONTRIBUTE TO SOCIETY, IN A CEREBRAL MANNER. YEAH, OF COURSE, AN EXCEPTION, BUT STILL….IT WAS SOMETHING. AND YES, NOW I DONT WANT ANY BLOODY FEMINIST TO START FROTHING, FOAMING AND CONVULSING. HOWEVER, IF U STILL WANT TO…….. BE MY GUEST….I DONT GIVE A DAMN. The payment for the patent was really just for publicity purposes; it had long since expired.